***Disclaimer: I'm a Mac girl. 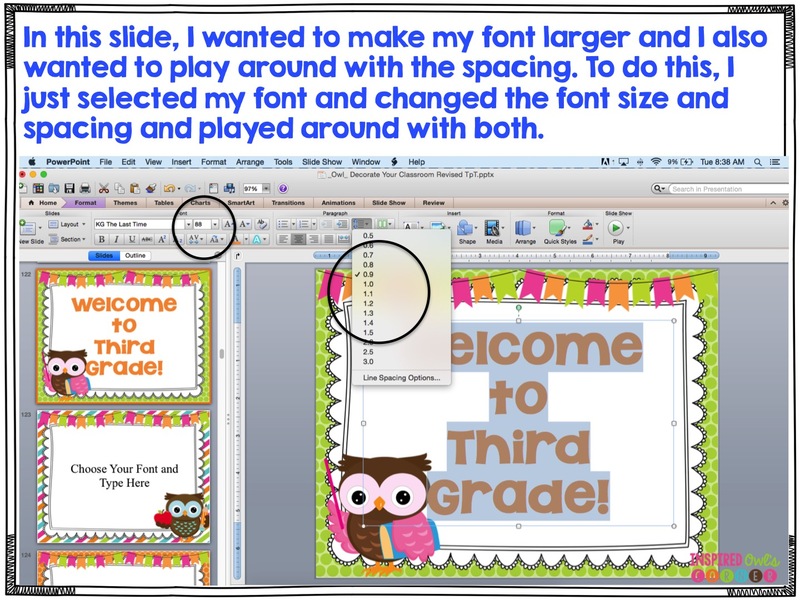 There are some differences between the Mac and PC versions of PowerPoint. Older versions of PC PowerPoint don't have the Color Picker/eyedropper tool I mention in the tutorial, but the new version does. 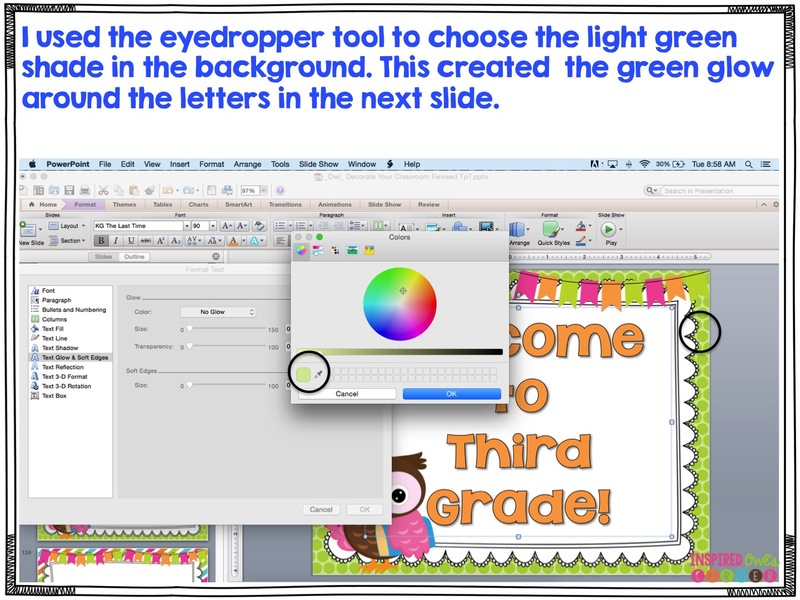 There are color picker tools you can download if you are interested in looking into that. Years ago I used one with Photoshop Elements that worked really well. 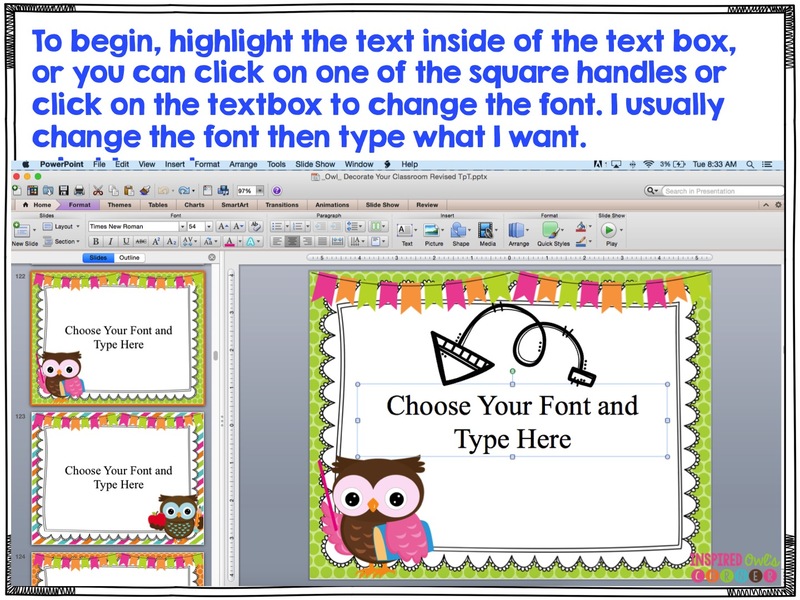 One of the most important things I want to share is that in order to use a font that's in an editable PowerPoint file, you have to have the font installed on your computer. There has been confusion about this, but you can't use a font that isn't installed on your computer. 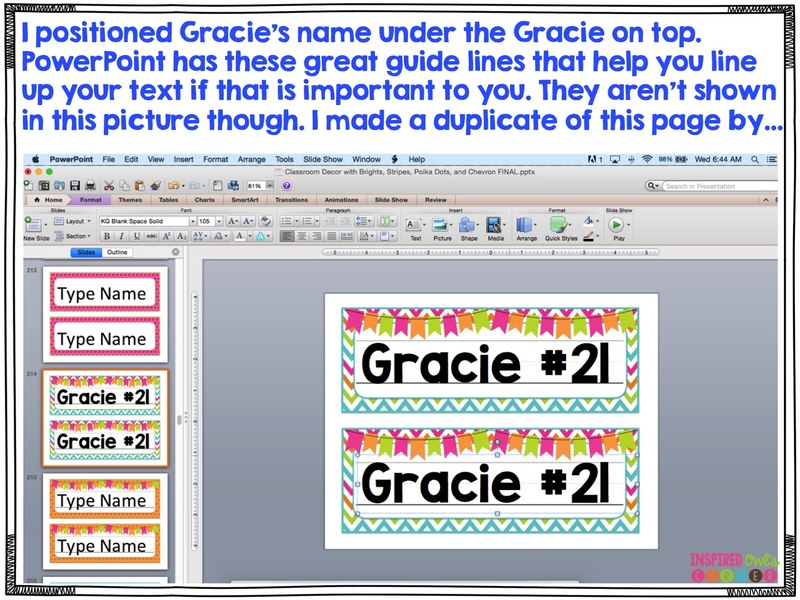 Many times TpT sellers include a list of fonts they used in their editable PowerPoint files so you can get a similar look for your edits. 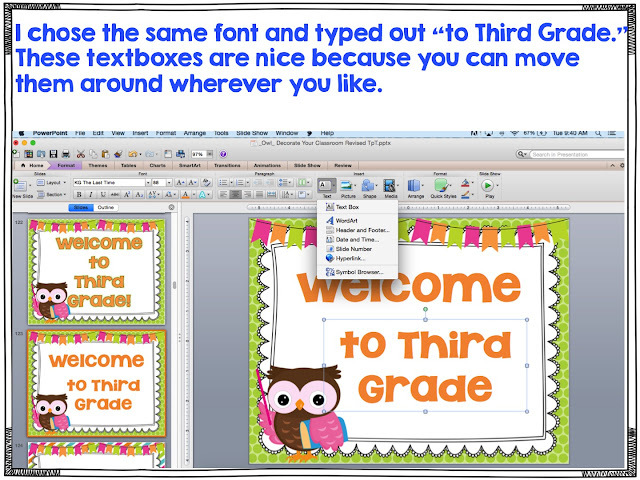 On my Macbook Pro, it's easy- I just download the font and click "Install". I have to restart PowerPoint in order for the font to be useable, but once I do that, it's there for me to use. If you need help with installing fonts, check here. 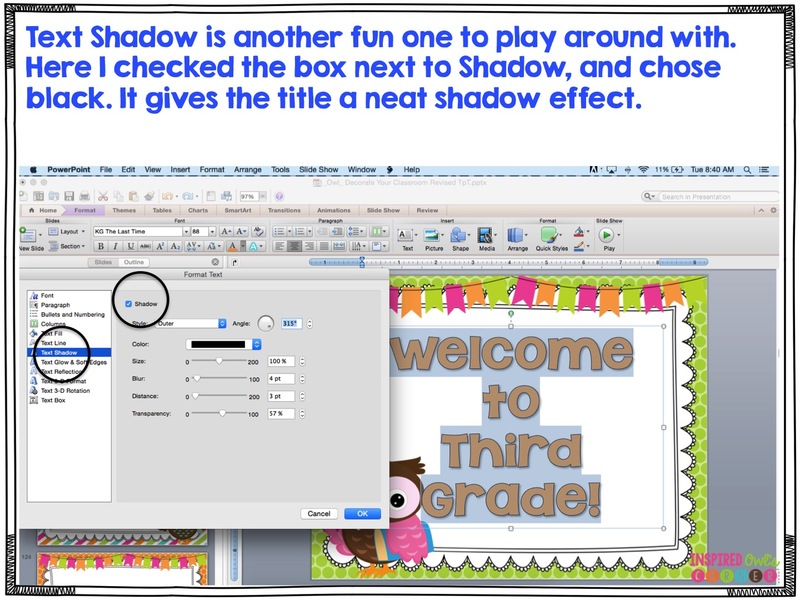 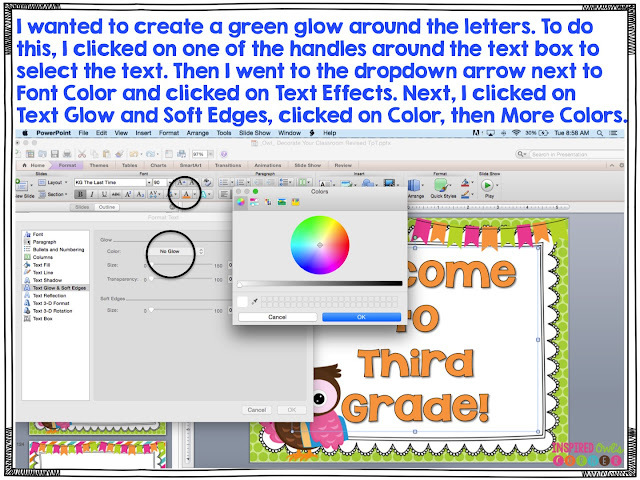 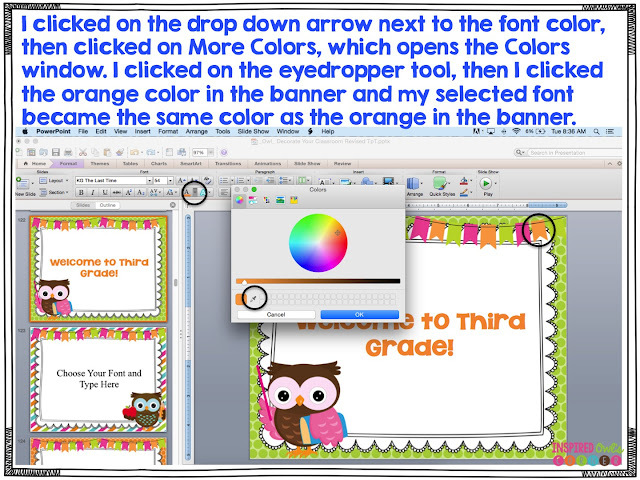 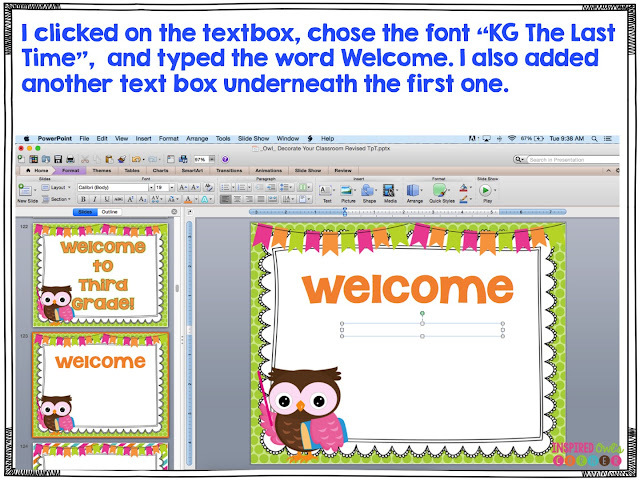 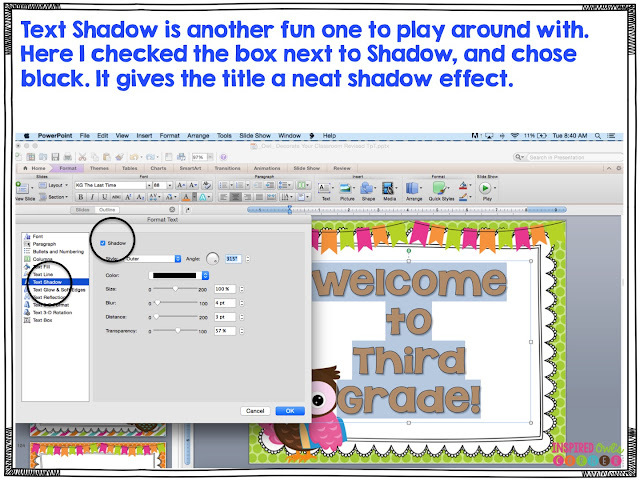 Below I will go through the steps I use to change my font style, color, and size on a poster in my Classroom Decor pack. 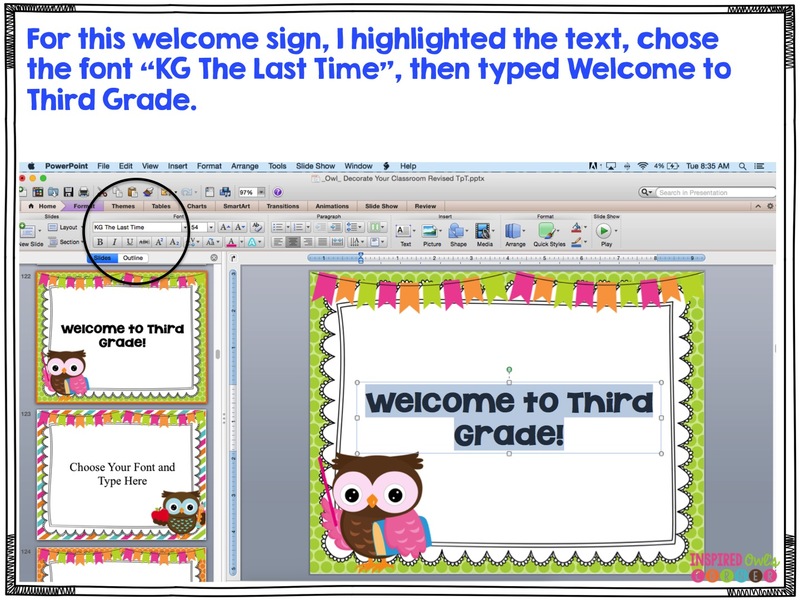 You might want to add text boxes to a page. The slides below explain how to do that. 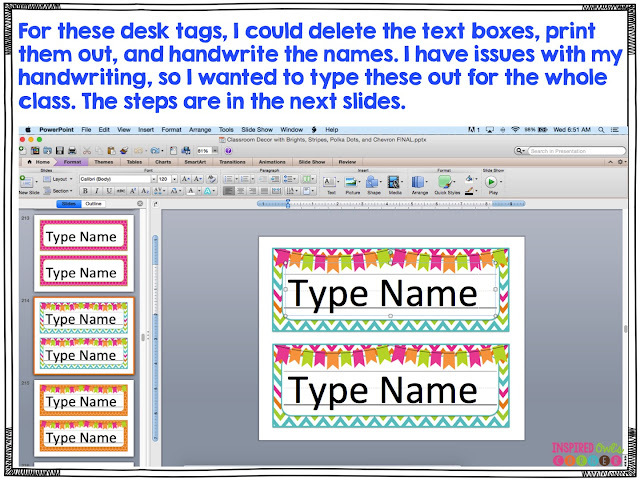 Sometimes I want to make duplicates of a page such as my desk name tags. 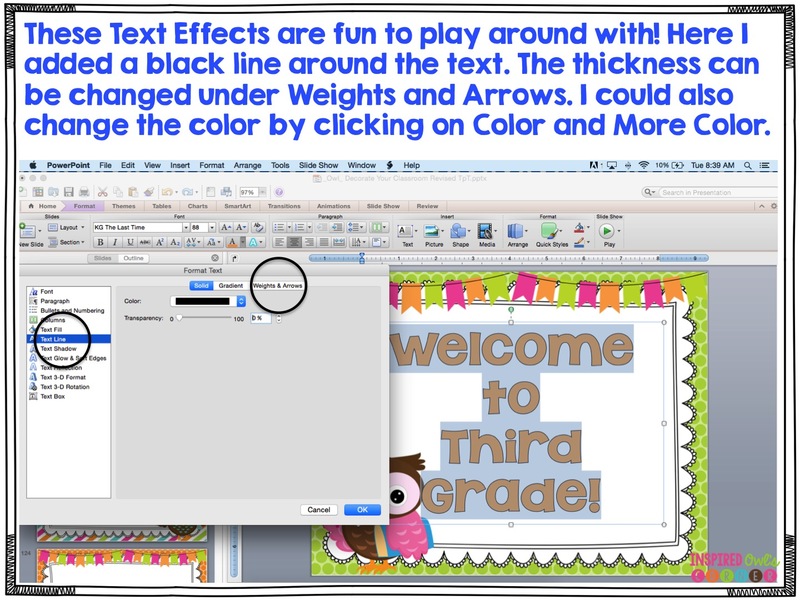 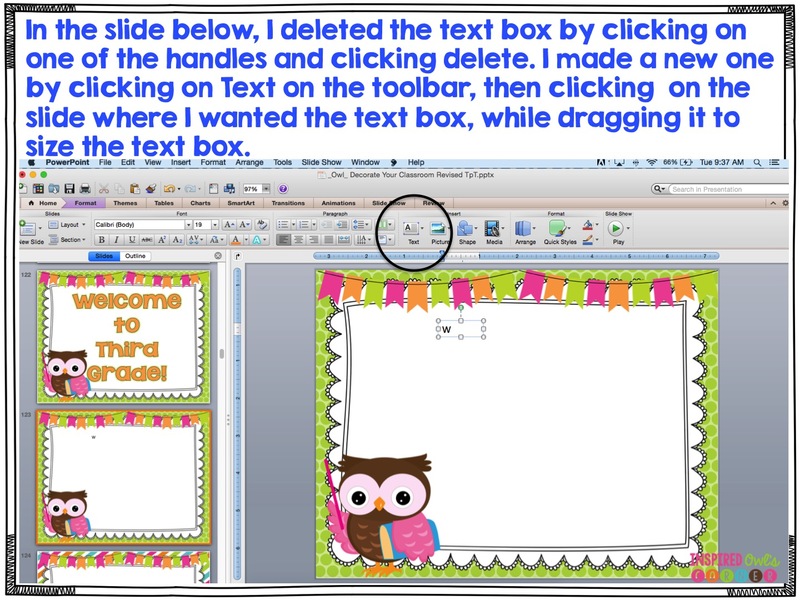 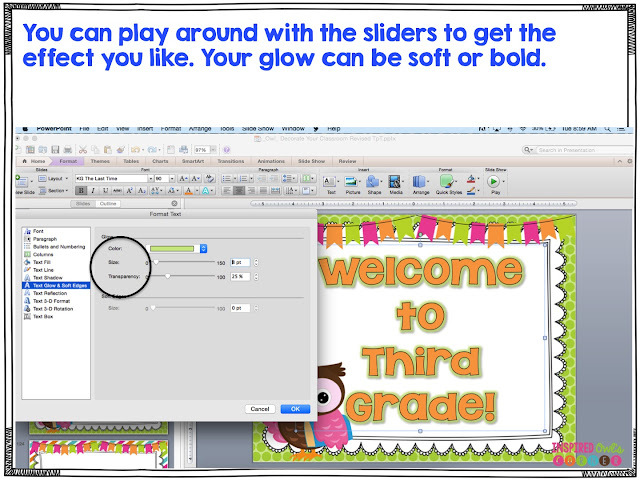 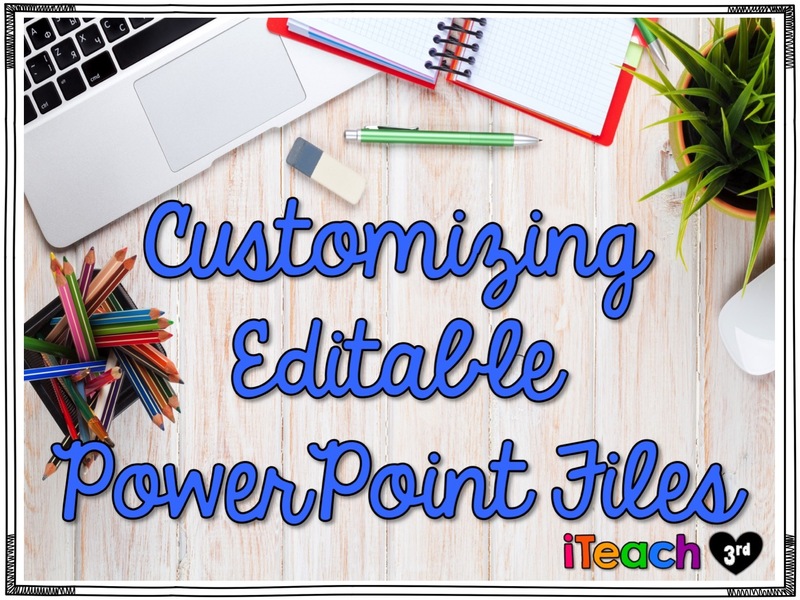 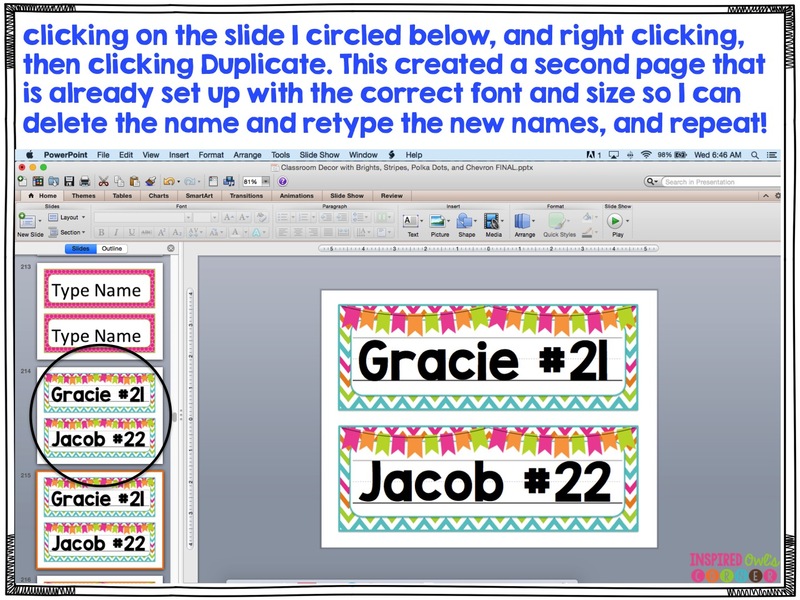 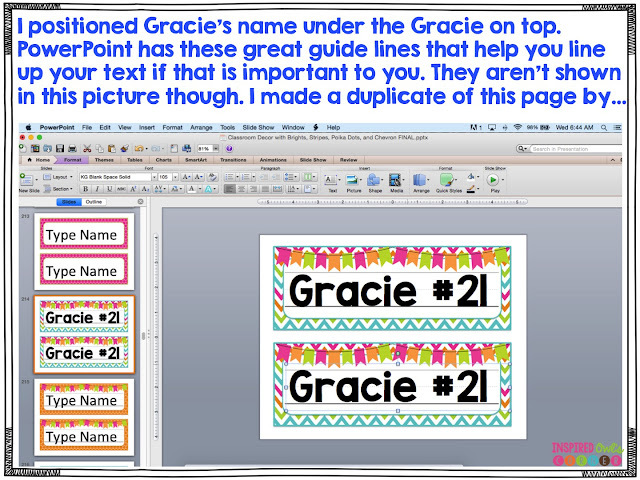 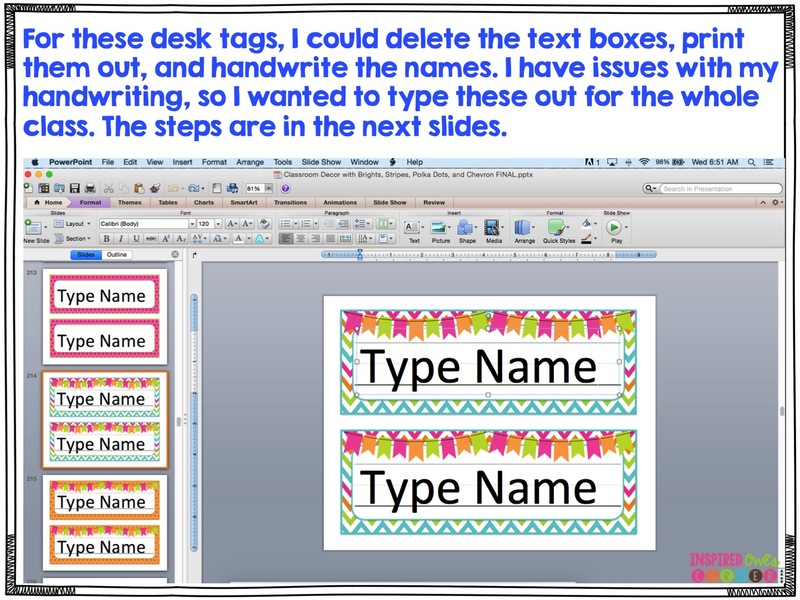 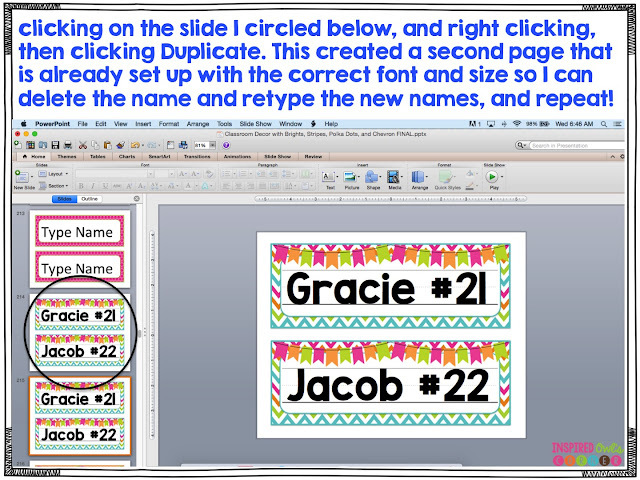 Once I choose my text style, size, and color, the text box is already formatted, so it's really easy to just duplicate the slide I want to use to create my entire class's desk tags. The slides below explain this. 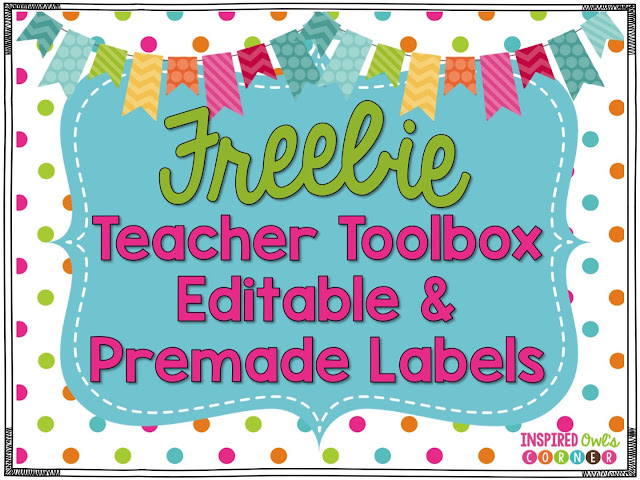 Here's a freebie for you. 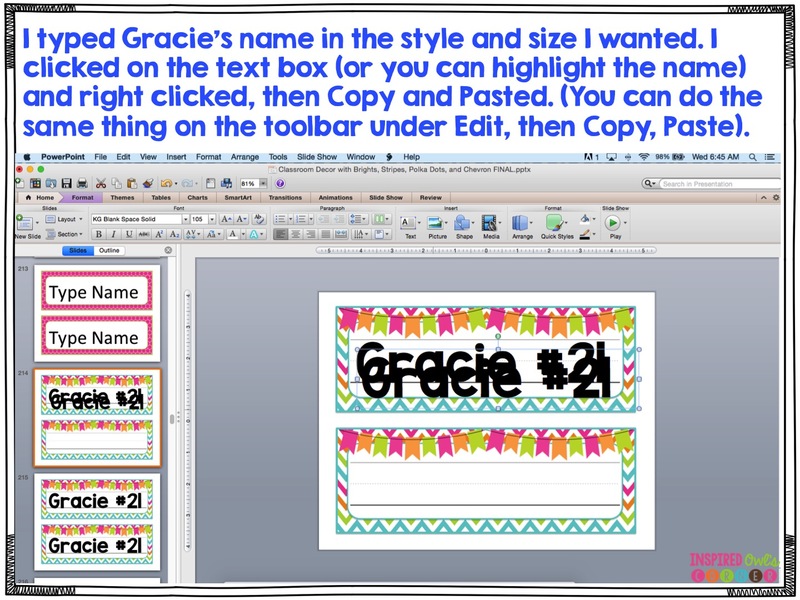 Included are two sets in both editable and premade versions so you can customize them for the supplies you have. 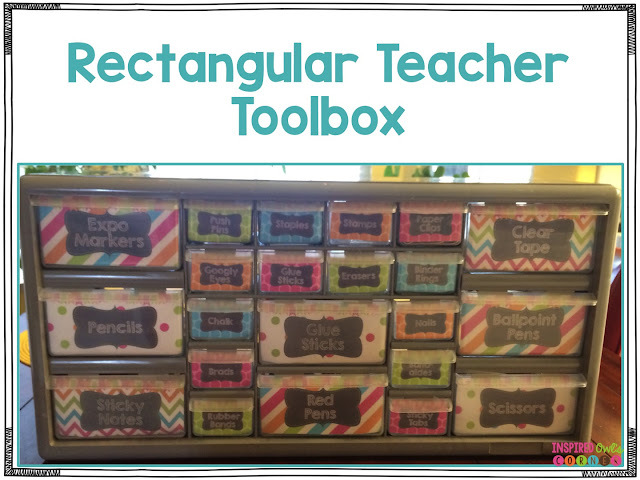 They have helped me to keep my desk organized and I can easily see what supplies I have before I go out and spend more money on things I don't need. 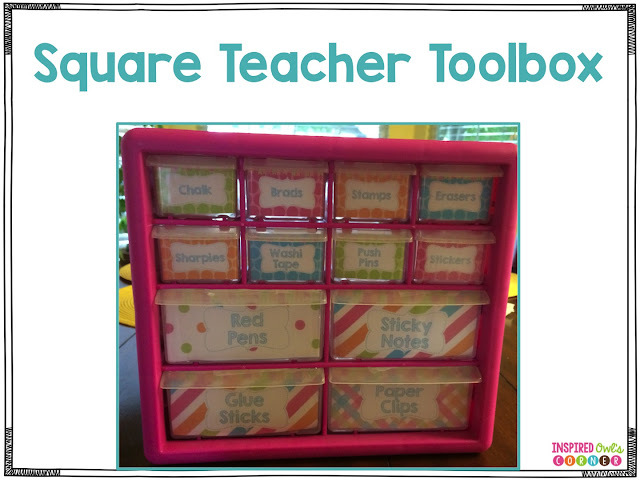 These also make great gifts for new teachers and colleagues. 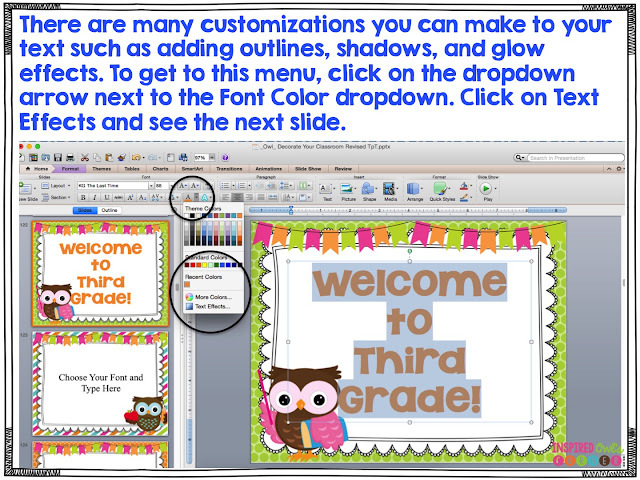 Click on any of the pictures to download a copy.